Some seven months agos, Tesla released Part 2 of its Master Plan. That means at some point this year we should see the Tesla Semi, but Tesla CEO Elon Musk says the priority right now is the Model 3, so perhaps the Semi is on the back burner at the moment. 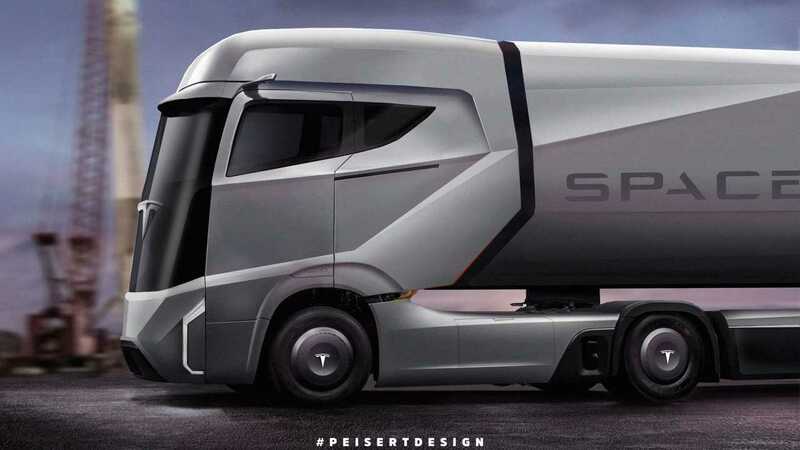 "full windshield version / electric powered autonomous Tesla semi truck: Model T / "The Musk"
"Peisert imagines the Tesla Semi with a huge glass face and strongly creased design. High-mounted rear-facing cameras replace traditional mirrors. The angular styling looks very futuristic, but we’re not sure if it’s quite something Tesla would put on the road. Looking at the automaker’s existing products, the firm seems to favor flowing, more organic shapes." 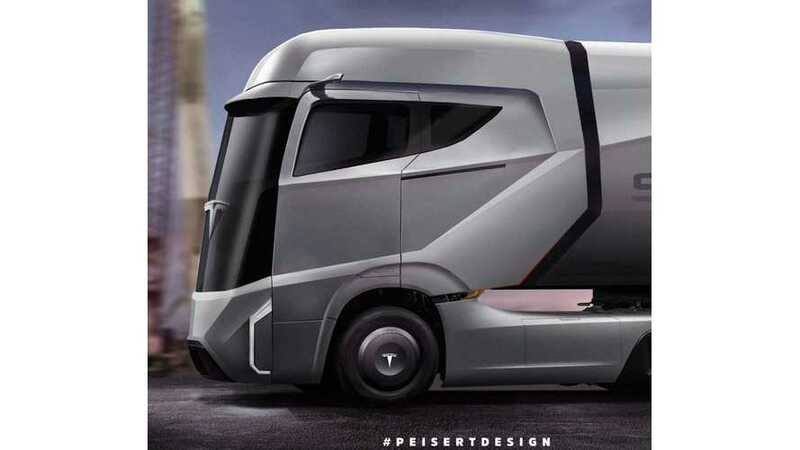 In the time-lapse video below, you can watch the Tesla semi, aka "The Musk" come to life from its starting point as the Mercedes-Benz Future Truck 2025.